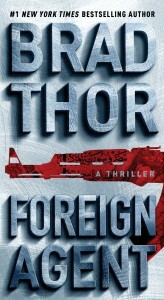 Another solid entry in the Harvath series by Brad Thor, this one continues Thor's mastery of writing "faction", a tough gritty story set in today's real headlines. Harvath is after a Russian terrorist hell bent on pulling the US and Russia into the Syrian conflict by carrying out terrorist acts around the world. Harvath not only has to find this guy and stop a world war, but has to battle betrayal from his own side. Thor once again pulls the reader in to a taut, exciting read to the very end. He even manages to add a more complex human side to Harvath near the end that bears watching in future novels.